In 2003, an old Community Bait Shed was transformed into this beautiful Interpretation Centre. The Hook and Line Museum is a bee - hive of activity. 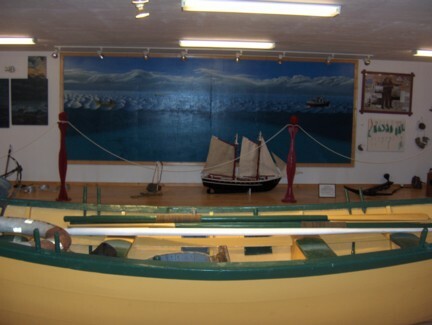 Visitors can see local fisherman baiting their trawl, offering a unique opportunity to witness first - hand how fishermen prepare for the fishery. Historical artifacts, display panels and storyboards make the centre an interpretive, educational and unique attraction. The Hook and Line Interpretation Centre hosts a coffee / craft shop. 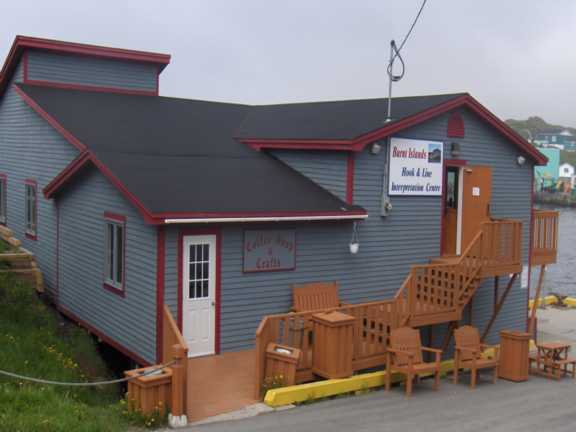 The Burnt Islands Economic Development Board in partnership with Atlantic Canada Opportunity Agency, Service Canada, Local Harbour Authority, Fishery Committee, and the Town of Burnt Islands have created one of the most interesting attractions in Southwestern Newfoundland. Many tourists visit our Centre each year. Tourist are very intrigued by our artifacts and displays. Our interpreter's are well versed and eager to assist our guests with our famous Newfoundland hospitality. The Coffee Shop is currently closed.